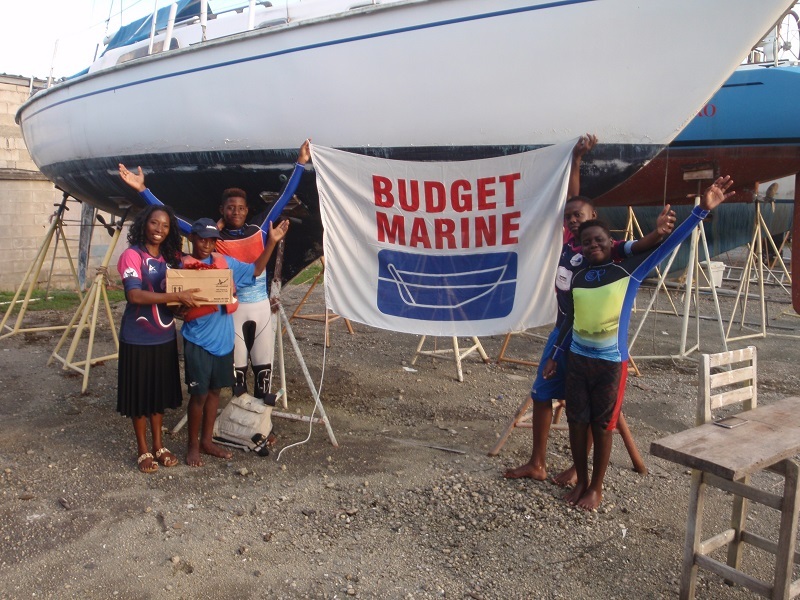 In response to a request from Betty Suite of the Vessigny Viking Sailing School, Budget Marine Trinidad management was happy to donate 2 gallons of International antifouling for the yacht McInvan, a Pearson 30, which Betty has acquired and which is currently being refurbished at TTSA. The purpose of this project is to provide dinghy sailors with the opportunity to sail and race a bigger keel boat, as hopefully these young sailors are future boat owners and racing enthusiasts. In image: Betty Suite and some members of the Vessigny Vikings youth sailing school with some of the donated gifts in front of the yacht, a Pearson 30 which is being refurbished.